I was limited to a little bit of butter, flour, milk, frozen pureed butternut winter squash, a couple bouillon cubes, apples and frozen brussel sprouts. Additionally, I had no recipe in mind, nor any idea what to do with these mismatched puzzle pieces of food. But slowly and unknowingly, a lovely combination of butternut squash and sauteed apples, combined with a béchamel of flour, butter and milk yielded an alarmingly and surprisingly soft, light and creamy soup, with the slightest suggestion of sweetness. Served with roasted brussel sprouts tossed in olive oil, red pepper flakes, salt and pepper, I officially have no more food left. Combine winter squash, water and bouillon cubes in a medium sized pot and bring to a boil. Whisk soup until well-combined. Set on low heat. 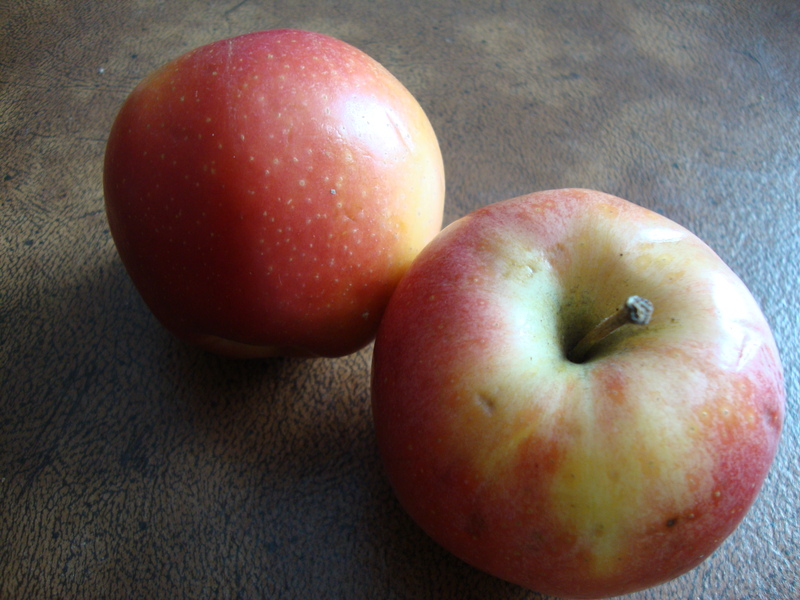 Peel, core and thinly slice apples. Melt 3 tablespoons butter in a medium saucepan and add apple slices. Sauté apple slices until soft on medium heat (about 10 minutes) or the flesh may be easily cut through with a spoon. While the apples soften, melt 3 tablespoons of butter into a small saucepan and combine with flour and milk on high heat. Whisk until béchamel thickens and coats the back of a spoon. Stir into butternut squash soup base. After the apples soften, allow to cool for a few minutes, and then puree in a blender until smooth. 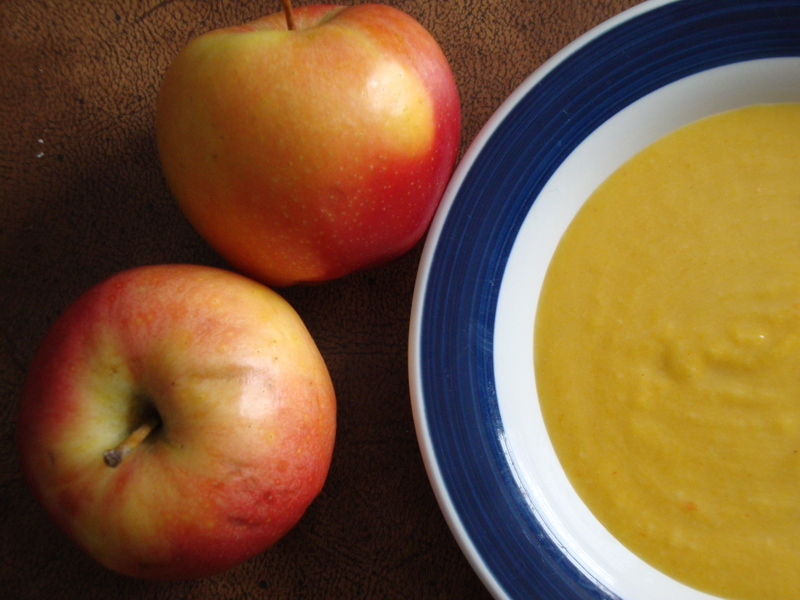 Whisk pureed apples into the butternut squash soup. Add salt and pepper to taste.